Angels 5K Fun Run on April 22, 2012 at Angel Stadium. 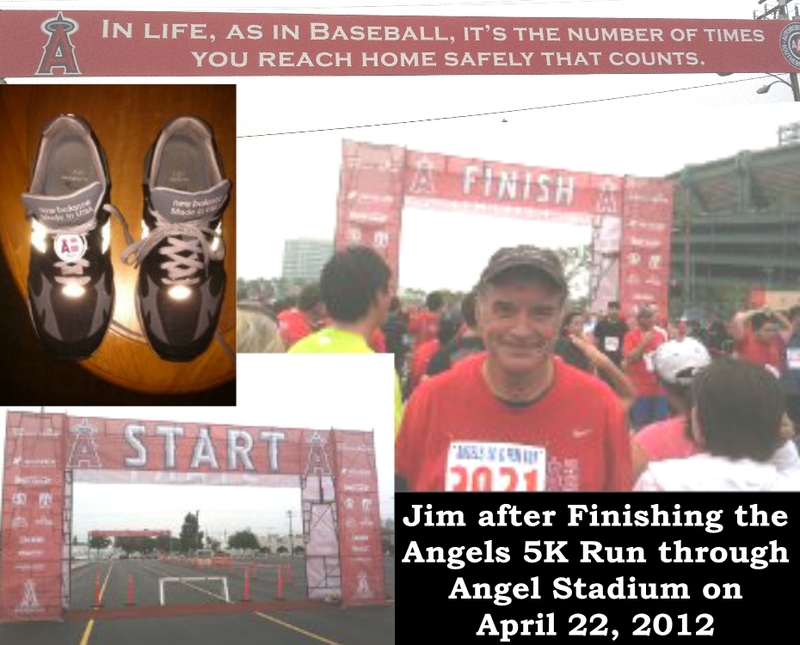 Sunday I ran in the Slump Buster 5K in Anaheim. 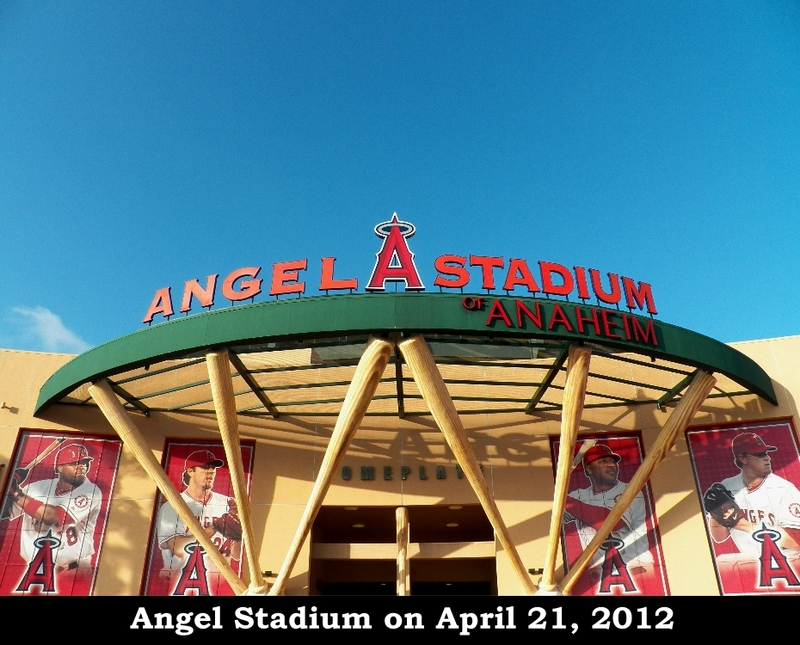 They call it the Angels 5K but for me it was a slump buster. OK, not in the way that Mark Grace would bust his team out of a slump but my version. Nagging injuries have kept me from entering a race for nearly two years. The longest-lasting was plantar faschiist in my left foot. By the time it had healed I had gained 10 pounds and was not ready for a competitive run. I began training in January, lost 15 pounds and yesterday ran my fastest 5K ever. Two years ago in the MLB All-Star 5K I ran at a pace of 8:49 per mile. My goal yesterday was to better that pace at age 66. I finished with a pace of 8:45 (actually 8:44.6 but why quibble?) 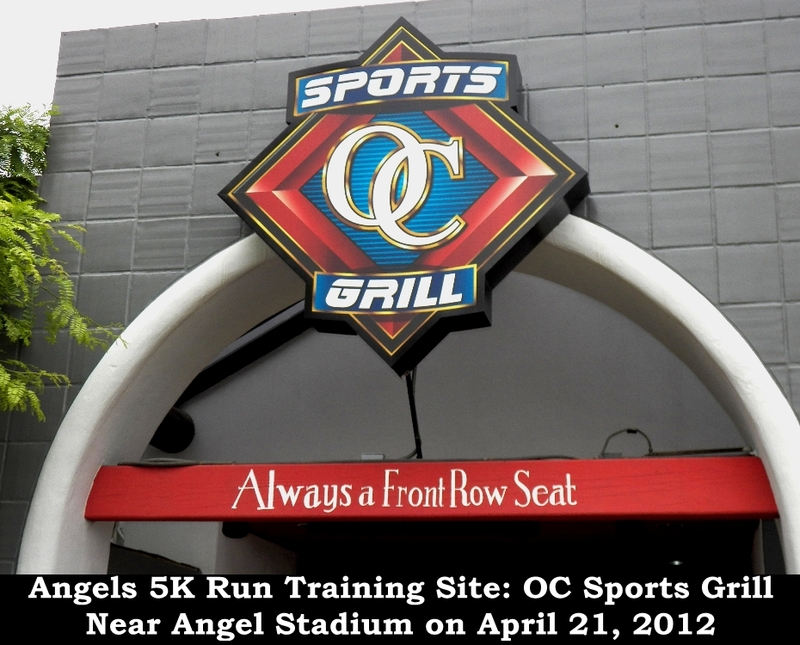 on a course nearly identical to that used for the All-Star run with both being routed through Angel Stadium. Pre-run drink and diet were crucial to my success. 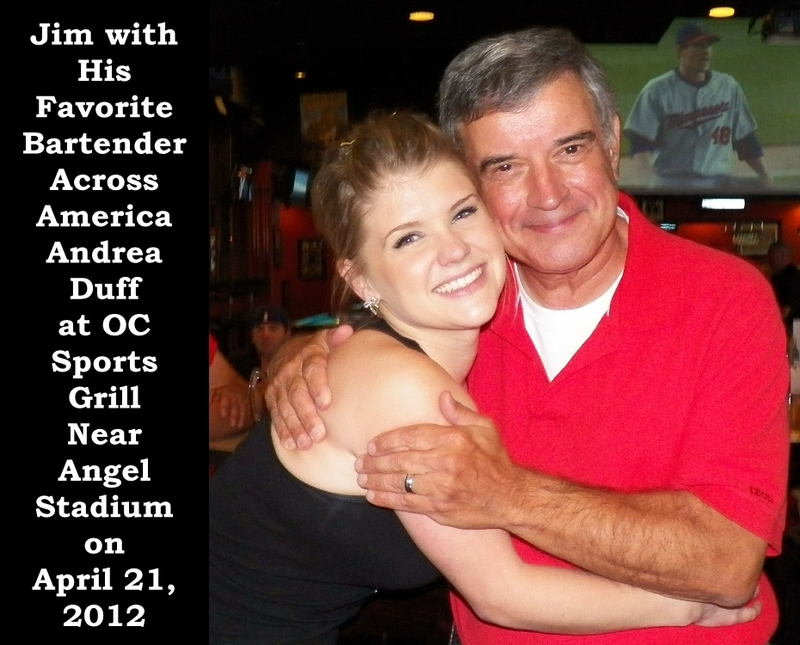 So, I drank a lot of beer the night before that was served by my favorite bartender across America, Andrea “The Duffinator” Duff, at OC Sports Grill. I then watched an Angels win and chowed down on angel hair pasta. Now that I’m out of my slump, expect soon news on the release of my new book and on the repair of my web site that was put down by virusues. It’s great to be back. I finished second out of 26 in the male 65-69 age group and eighth out of 72 in the medal competition male age group 60-69. Over 5,000 runners signed up and 3,893 finished. I was #609 out the 3,893 to finish and #464 out of 1,701 adult men. I feel great about my finish, especially at age 66, and to finally be off the disabled list.